2. Use lighting creatively. Highlight a favorite work with a pin spot or acknowledge it during the day with sunlight splashed across it. 3. Group like with like or alternatively, let opposites attract. 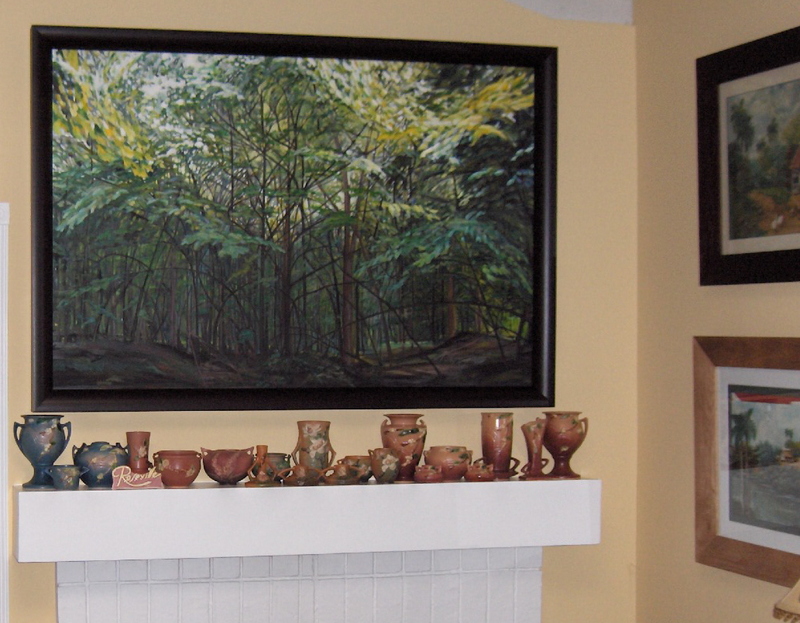 It is the communication between disparate styles/potters that can heighten the individuality of each work. 4. Integrate with other objects. 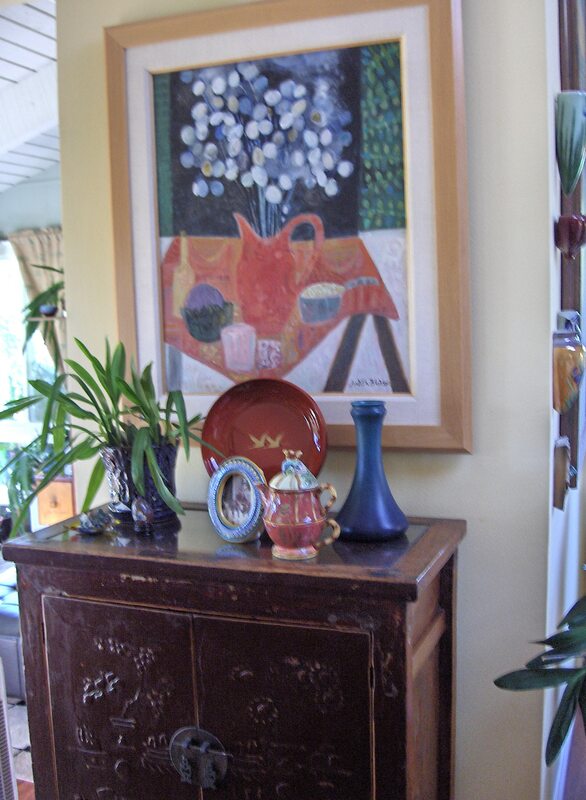 Silver, brass, paintings, plants, glassware, seashells, rocks/found objects are fine complements to pottery. 5. Balance color palettes. Place cool or hot colors together for one effect, but don’t be afraid to juxtapose colors for a surprising effect. 6. Use your pottery daily. Vases, plates, bowls, candle holders all were made to be used. We are always looking for new display ideas. Please share yours with us and we will post the most creative.